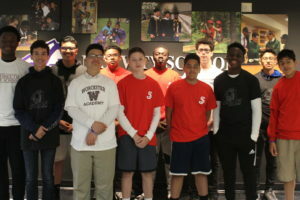 Founded in 2003, Nativity School of Worcester is an accredited, independent, Jesuit middle school that provides a quality, all-scholarship education to underserved boys of all faiths. Drawing upon four pillars – strength, scholarship, character, and service – a Nativity education inspires self-discovery, responsibility, spiritual growth, and a lifelong dedication to learning. 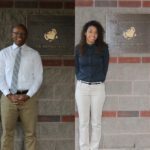 Reporting to the Principal, the Student Support Coordinator serves as the primary person for the planning and provision of additional academic and behavioral support to students in need. In addition to providing direct instruction to individual and/or small groups of students as needed, the Student Support Coordinator works with teachers to develop and implement support plans, and is an essential point of contact with families. The Student Support Coordinator strives to work with all teachers to create an environment where students can achieve to their highest potential, as measured by demonstrable academic and social gains. Developing a schedule for working with students on Student Support Plans (either individually or in groups) both inside and outside of the classroom in targeted academic areas. Working with teachers to identify modifications as needed to class work, homework, and other assessments, as well as working with students to address these modifications. Meeting regularly with grade-level teams of teachers to identify students in need of academic and/or behavioral support. Writing and distributing Student Support Plans according to a standardized format to address specific academic and/or behavioral needs. Developing a schedule for regular check-ins with students and teachers to evaluate the progress of Student Support Plans. Meeting with families during regularly scheduled conferences to discuss student progress. 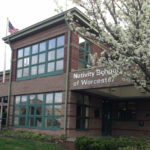 Where necessary, coordinating with Worcester Public Schools on the coordination of testing and updating of IEP or 504 plans. Coordinating regular reading assessments for students in order to gauge progress. Working with the Student Support Team to coordinate efforts to work with students in need of additional support. Serving as an advocate for students and families. Serving as an instrumental member of the school’s Admissions Committee. Assisting in regular staffing responsibilities as outlined in the Nativity Faculty Handbook and Nativity Employee Manual. Attending and actively participating in weekly staff meetings. Participating in staff orientation prior to start of school year. Fulfillment of staffing responsibilities as outlined in the Nativity Personnel Manual. Follow the annual Academic Calendar (to be forwarded to employee in August), with participation in staff orientation prior to start of school year. Such tasks include participating in one “late” day (i.e. end of academic day through end of after-school day) per week. Assisting, as needed, in the Nativity province review process. Assist with the NEASC Continued Accreditation Report as needed. Fulfill responsibilities as memorialized in the Nativity Employee Handbook. At least two years of classroom experience, preferably in middle school. Massachusetts Department of Elementary and Secondary Education Certification in special education preferred. Experience with developing academic and behavioral support plans (e.g., I.E.P.’s and/or 504’s), preferably on the middle school level. 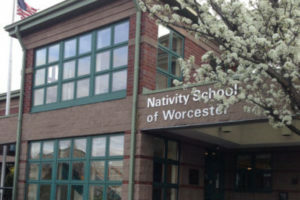 Openness to embracing and promoting the Jesuit mission and identity of Nativity School of Worcester. 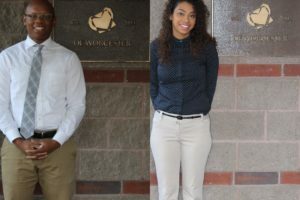 Willingness to work with the at-risk population of Worcester. Proficiency with the Spanish language preferred but not required.